With multiple places to eat in Oxford and Oxfordshire, The Macdonald Randolph Hotel is the perfect blend of a contemporary city centre bistro combined with unique character and, of course, outstanding British cuisine. 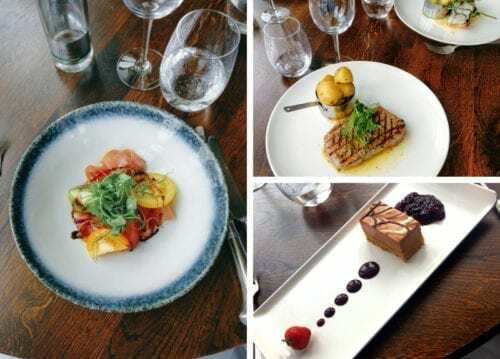 We’re here to tell you why we love dining at the 5 star Macdonald Randolph Hotel and the many reasons why you should too! Found directly in the heart of Oxford city centre, the Macdonald Randolph Hotel is a landmark hotel filled with elegance and charm perfect for both locals and visitors. Since 1866, the hotel has been conveniently located on the south side of Beaumont Street, at the corner with Magdalen Street and St Giles, opposite the Ashmolean Museum and close to the Oxford Playhouse. The Hotel’s restaurant, bars and even spa are easily accessible by walking, bicycle, public transportation and automobile. If you’re looking to see fiction become reality, the Macdonald Randolph Hotel has been seen across a wide range of film and television programs. 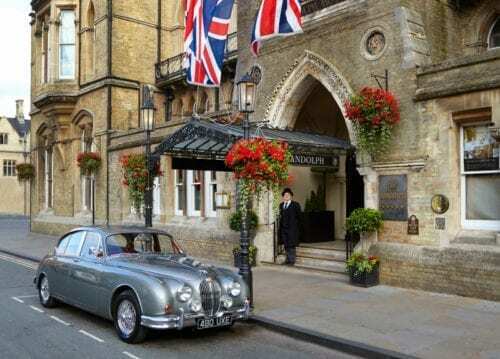 Most notably, the beloved crime drama Inspector Morse featured many aspects of the Hotel throughout its production. 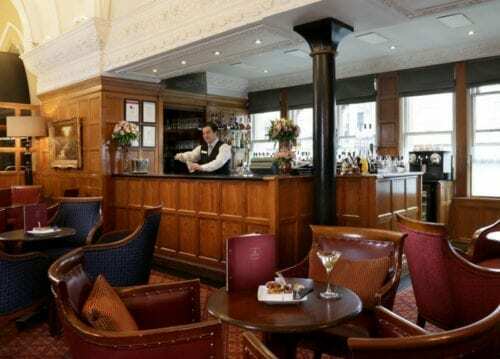 Popular with longtime fans and new viewer alike, the Randolph’s Morse Bar is classically decorated and exudes stylish elegance as it has provided a frequent setting for many scenes where Morse and his colleague Lewis have deliberated on complex cases. The Morse Bar still features regularly in episodes of the follow-up TV series, Lewis. The Morse Bar also hosts a wide range of events throughout the year, featuring whisky tastings and some of the best cocktail masterclasses in Oxford. Served daily, diners can enjoy mouth-watering seasonal cuisine with friends and family in a relaxed setting at the Acanthus Restaurant. The Randolph Hotel’s pre-theatre menu, available any day, ensures visitors are on their way with time to spare – show or no show! Prices start at only £16 for two courses or £21 for three courses – making it one of Oxford’s best-kept food and drink secrets prepared daily by skilled chefs! They serve only the finest Scottish beef, the best British lamb and pork plus many vegetarian options as well. 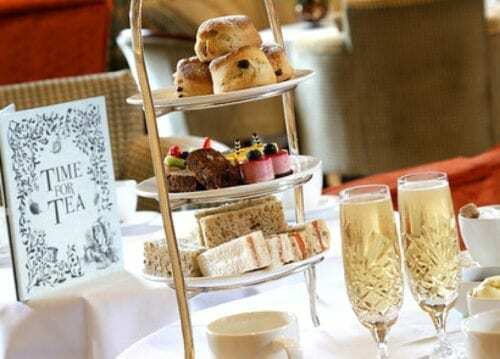 The epitome of English style and charm, the Drawing Room and Lounge at the Macdonald Randolph Hotel is the perfect setting for one of their famous afternoon tea in Oxford. Relax in the grand surroundings while indulging in the delicious choice of savoury finger sandwiches, fluffy scones with jam and clotted cream, a selection of cakes and much more – the best homemade delicacies which their highly skilled chefs have created using only the finest ingredients, sourced locally where possible. It’s their dedication that makes afternoon tea something special for everyone and is perfect for a special occasion or even after a busy day sightseeing or shopping. Go ahead, treat yourself and reserve a place today. So, there you have it – four reasons to enjoy fine, yet casual dining in central Oxford! The Macdonald Randolph Hotel also offers luxurious accommodation and a sensuous spa haven in addition to providing the perfect venue for fairy-tale weddings, meeting rooms and conference venues. Share your visit with us to the Macdonald Randolph Hotel using #ExperienceOx on social media!